Captivating 3 stone trilogy diamond drop earrings, crafted with round brilliant cut diamonds in a drop style cluster design. Enjoy a choice of two total carat weight options - 0.18 carats or 0.42 carats, in a choice of precious metals including 18ct White Gold, 18ct Yellow Gold, 18ct Rose Gold and 950 Platinum. Each pair of 3 stone earrings are crafted to order and delivered beautifully packaged. Enjoy the elegant sparkle from this delightful pair of Trilogy style Diamond drop earrings. 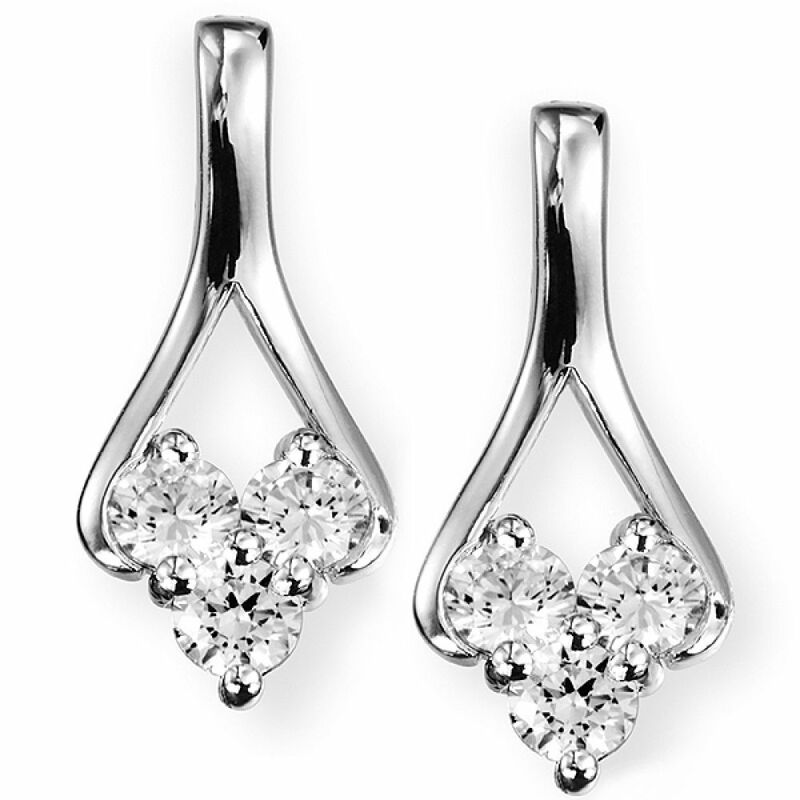 Each three stone earring holds a matching set of three Round Brilliant cut Diamonds. Equally sized, choose from a choice of total carat weights for your Diamond Earrings. Choose 0.18 carats for a total of 6 x 2mm Round Brilliant cut Diamonds, or select the larger option (0.42 carats) set with 6 x 2.5mm dazzling white Diamonds. Each natural Diamond is hand selected and matched for whiteness (G Colour) and purity (SI1 Clarity for eye clean assurance.) 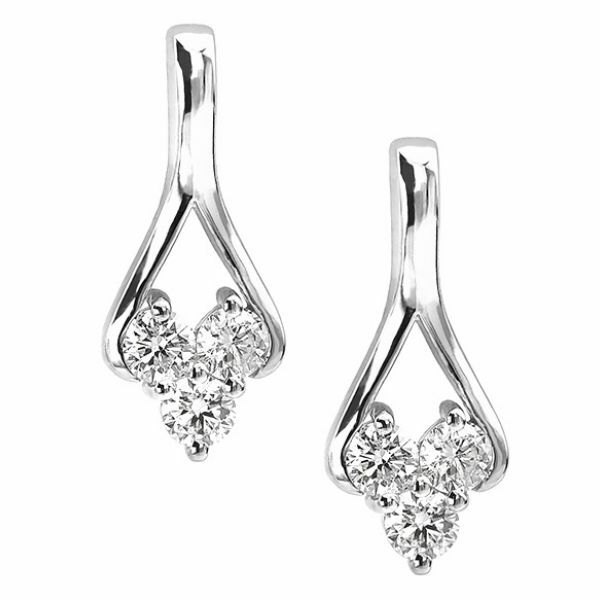 Enjoy beautiful craftsmanship, and a detailed insurance valuation with your completed earrings. We hand deliver your finished earrings by secure courier, beautifully boxed and ready to present in pristine Serendipity Diamonds packaging. 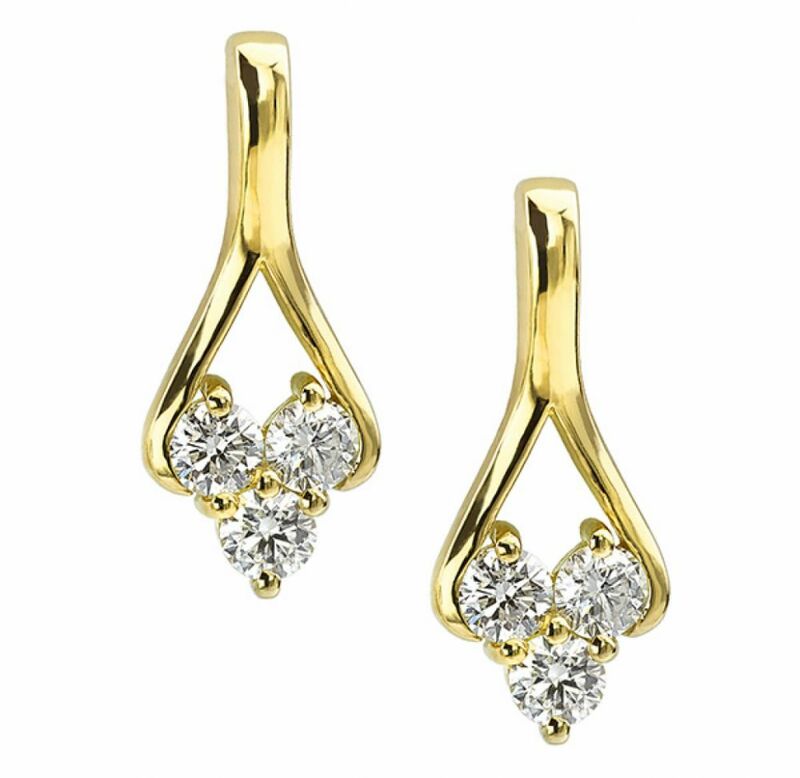 Please contact us for any additional help, guidance or information on these or on any other pair of diamonds earrings from the Serendipity range. Please allow approximately 3-4 weeks for this elegant pair of earrings to be crafted. We also provide a complimentary pair of LOX secure earring backs with every Diamond earring purchase to give you peace of mind when wearing your new earrings.